How ShopClues set up its benchmark in Indian e-commerce industry ? Home > Blog > Blog > How ShopClues set up its benchmark in Indian e-commerce industry ? The idea of ShopClues was born at California in March 2011 when Radhika and Sandeep Aggarwal met with Sethi. How they met in California is also an interesting factor to know. Aggarwal’s son and Sethi’s daughter went to the same school in Fremont. Sethi was working with eBay, while Radhika Aggarwal worked for Nordstrom, an American fashion retailer. Both saw a huge opportunity in the Indian marketplace for masses, as “Back then everybody in India was doing an inventory model business”. There was a single marketplace eBay but no one was taking it seriously. So these two people decided to implement themselves in Indian e-commerce market. The day when Sethi first landed in Delhi, was very much surprised when he saw the airport full of Snapdeal postures and Television were advertising only Jabong and Myntra. Going in past and talking about the initial days of their journey, it was 2nd August 2011 when Sanjay Sethi was at the Elephant Bar in San Jose, California, in the middle of his farewell speech to colleagues at eBay Inc. when he received a call from his friend Radhika Aggarwal who had promised them $5 million for their new venture. Now, Sethi, Aggarwal and their respective families were to move out from California to India to start ShopClues, a marketplace for the masses. All stuffs were packed and ready to be shipped. Sethi, Radhika Aggarwal and her husband Sandeep Aggarwal, and Mrinal Chatterjee decided to have a few beers that evening. “The next morning they woke up and called everyone whom they knew in the community and within just three days, they had $1.8 million in their bank account from 12 angel investors. More than three years later, on the night of 19 January 2015, Tiger Global Management led a $100 million funding round for ShopClues.com. Let’s tell you that Tiger Global Management had also invested in India’s largest online firm Flipkart.com and China’s Alibaba Group. Shopclues started focusing on the unstructured categories. 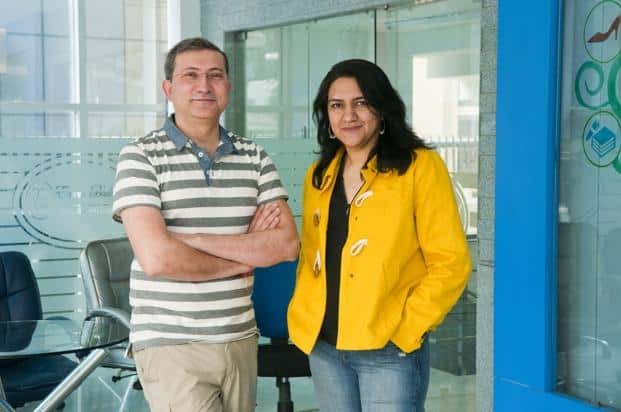 With the latest round of funding of $100 million from Tiger Global and two other investors, Shopclues current valuation has reached to $500 million. Earlier, in March 2013, ShopClues raised $10 million in third round of funding led by Helion Venture Partners and Nexus Venture Partners. Nexus Venture Partners had previously led the Series A round of funding in the company in Feb 2012. On the first side, ShopClues had to face controversy while dealing for the investment. Investors feel nervous while making an investment for ShopClues. The reasons for the nervousness of the investors were competitors like Flipkart, Snapdeal and Amazon that had already built the market a tough war to survive. And on the second side, company was surviving with the shock of its CEO Sandeep Aggarwal being arrested for insider trading in the US in mid-2013. Year 2014 had been very punitive for the company. The company had hopeful orders and a larger seller base than earlier, but they had hardly any money in their bank account. The future of the company was unclear. But the remaining 4 co-founders didn’t lose hope. Sethi and Radhika Aggarwal refused to give up. They hunted investors, set in whatever money they had, and finally raised an undisclosed amount from existing shareholders in the middle of 2014. [su_box title=”More Case study by DSIM :-” box_color=”#c7c7c7″ title_color=”#000000″]1) How Xiaomi became most valued startup across the world in just 5 years? 2) How MakeMyTrip became leader in Online Travel Agency? 3) How Yepme.com made a name for itself in competitive Indian e-commerce industry? What differentiates ShopClues from Flipkart, Snapdeal and Amazon? The fact that made Tiger Global to invest in ShopClues was the fact that the business model of ShopClues was different from that of Flipkart and Snapdeal and that the company was largely focused on taking unstructured categories online. Companies such as Flipkart, Snapdeal and Amazon get a wider piece of their business from selling the items that can be itemized under the structured retail channel. For illustration, companies like Flipkart get 30-35% of their business from selling branded mobile phones. For ShopClues, it is small brands and categories such as home and kitchen ware, fashion, and mobile and electronics accessories which work quite well. According to the company, out of the 7500 brands that ShopClues sells, 6500 are regional. With an ever-increasing customer base, its community of over 150k merchants is its biggest strength, which enables Shopclues to offer over 19 million products across 5000+ categories at attractive prices. • Email marketing: Even though email marketing was considered dead, the brand’s Senior Marketing Director, Mr. Nitin Agarwal stood strong with the email marketing. Nitin started off by introducing his brand and the statistics related to it from email marketing perspective. He stated that ShopClues.com has 50 million visits every month, which is more than other travel e-commerce portals. Besides this, they have more than 50k brands on their catalogue. Looking at these whooping numbers, that is where bulk email marketing came into account and he stated that Gmail is one of the major areas amongst them. The results were tremendously far better than before. People started to engage more through emails and make the transactions. Also, mobile experience was made much better then yielding better results. • Affiliate Marketing: ShopClues used affiliate marketing to add advantage to their business with many affiliate networks in India. This ensured ShopClues getting around 50 thousand members only with affiliate marketing. • Blog Posting: FNY also regularly posted interesting articles on their blogs to increase the awareness and engagement. • SEO Marketing: For any brand, search engine marketing plays an imperative role and ShopClues promoted itself well on Google using SEO, Adwords and PPC advertising. • Facebook Marketing: Gaining on its popularity, FNY utilized Facebook marketing opportunity very well. Prior to the launch of the web portal, ShopClues kept on selling its products through Facebook and at the time of their website launching, ShopClues crossed over 1 lacs fan on their fan page. Currently on a net basis, the company is losing money. Basically, on an operating basis, the company is able to recover all the fixed costs and some more and will become cash flow positive by 2016. The company targeted the middle class consumers. According to the company, 70% of its customers are from tier 2 and tier 3 markets with an average age of 26 years and household income between Rs.2 lakh and Rs.9 lakh. ShopClues currently does more than 70,000 orders on a good day with a basket size of Rs.1200 and it is expected to touch 250,000-300,000 orders on good days by the end of the year 2015. The company had touched a gross merchandise value of $220 million in December and has aim to touch $3 billion in the coming next three years. The company had earlier cleared that approx. 20% of the $100 million received recently will be used in marketing initiatives for the next two years and whose result can be seen on televisions nowadays. Regular advertisement on television and in print media comes for the brand. The company has planned to increase its merchant base to 10 million up. [su_box title=”More from DSIM :-” box_color=”#c7c7c7″ title_color=”#000000″]1) How HealthifyMe is revolutionizing the health and fitness industry?